Ayensu's Olympic Taekwondo Karate is a Martial Arts School offering Karate & Tae Kwon Do classes in Georgetown, Canada for kids, men and women. Ayensu's Olympic Taekwondo Karate is Located at 184 Guelph St. If you are associated with this Dojo, please provide additional information such as class schedule, Website address etc. There is no cost. View a Location Map, get Directions, Contact Ayensu's Olympic Taekwondo Karate or view program details below. If you are a student at this school, help your local Martial Arts Community by writing a Review of Ayensu's Olympic Taekwondo Karate. You can also help your school by sharing it on Facebook, Twitter, Google+, Pinterest etc. Karate & Tae Kwon Do classes are available for children and adults. Daytime and evening classes offered all year round on various weekdays. After school Martial Arts Program, Summer & Winter Camps etc. may also be available. Please contact Ayensu's Olympic Taekwondo Karate for exact class hours for different age groups. Would you like more information on hours, classes and programs available at Ayensu's Olympic Taekwondo Karate? Please contact the school with your questions. 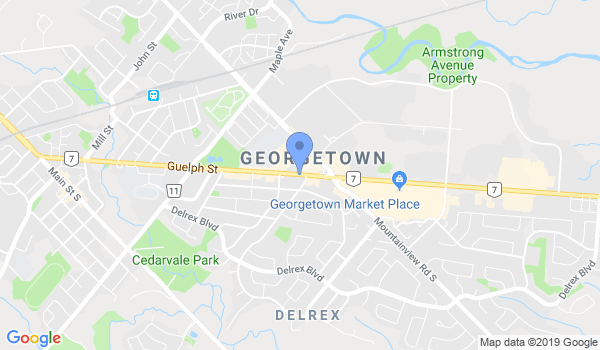 If you are associated with Ayensu's Olympic Taekwondo Karate in Georgetown, Canada, please add additional information to this page like school's Website, class schedule, school introduction and more. There is no cost. Update this Page. Please call (905) 873-2809 during business hours to contact Ayensu's Olympic Taekwondo Karate. When you talk to them, please mention that you found them on dojos.ca and they should update their information on dojos.ca. This Chart shows the Martial Arts Styles offered most in Georgetown, Canada area. View a list of Dojo in Georgetown, or enter your address below to find schools closest to you.